Two studies led by Associate Professor Joyce Lee from the Department of Pharmacy at the National University of Singapore's (NUS) Faculty of Science revealed that pharmacist-managed care, in addition to routine check-ups with physicians, help improve the management of diabetes and the associated chronic diseases. NUS researchers found that people with type 2 diabetes who regularly saw Ambulatory Care pharmacists (i.e. pharmacists specially trained in chronic disease management) experienced better control of blood sugar levels and maintained good blood pressure and cholesterol values. They also spent less on healthcare due to less frequent visits to the doctor for poor health pertaining to diabetic-related diseases. In addition, among people with type 2 diabetes who also have other cardiac health issues such as heart failure or stroke, those who had enrolled in the pharmacist-managed care services were three times less likely to be admitted to the hospital than those who did not. Assoc Prof Lee said, "With the increasing prevalence of diabetes, the physician-centred model is challenged to deliver holistic care in Asia. Diabetes and its associated chronic diseases may be managed effectively within a multidisciplinary collaborative care model. However, evidence on its effectiveness in Asian patients is lacking. Our two studies illustrate the positive impact of multidisciplinary collaborative care involving pharmacists, hence supporting the effectiveness of this approach in managing chronic diseases." Associate Professor Lee and her research team conducted a six-month study involving about 400 type 2 diabetes patients who were concurrently suffering from diabetes-related chronic diseases. The study took place between May 2013 and April 2015 at four outpatient health institutions in Singapore. Participants with uncontrolled type 2 diabetes taking five or more medications were randomly assigned to the intervention care group and the control group. Patients in both groups were given the usual care of seeing physicians, nurse educators and dietitians as necessary. Ambulatory Care pharmacists followed up with patients in the intervention group every four to six weeks via face-to-face visits or phone calls. At the end of six months, patients in the intervention group recorded better clinical outcomes especially in those with higher glycemia (blood sugar). These patients achieved HbA1c (average blood sugar) reduction of 0.8 per cent with target blood pressure and maintained low cholesterol levels. These patients also reported greater satisfaction with their treatment and experienced less diabetes-related distress. On average, each patient in the intervention group saved about 15 per cent (about S$120) in outpatient healthcare spending related to diabetes during the six-month period, largely due to lower medication costs as a result of closer therapeutic monitoring as well as substitution of cost-effective drugs. "Medication costs may be higher in usual care setting due to a lack of thorough medication use assessment. Without drug optimization, patients who fail to reach recommended clinical targets may be switched to, or added, a more expensive drug unnecessarily," Assoc Prof Lee explained. "This multidisciplinary collaborative care approach enables Ambulatory Care pharmacists, nurses and dietitians to spend adequate time with patients to provide individualised diabetes drug optimisation, education and counselling. They are also able to improve patients' confidence and knowledge—empowered patients tend to achieve better quality of life and higher satisfaction towards treatment for diabetes," said Assoc Prof Lee. In another study, Assoc Prof Lee investigated the effectiveness of a pharmacist-managed risk factor management clinic against usual care in an acute care setting. She compared the clinical and cost outcomes of over 140 type 2 diabetes patients with multiple cardiovascular risk factors. The study evaluated patients who were under the cardiology service of a tertiary care hospital from January 2014 to December 2015. About 70 patients were randomly assigned to the intervention and control groups respectively. Both groups of patients received standard cardiologist care. In addition to this, patients in the intervention group received three to six months of drug optimisation by trained Ambulatory Care pharmacists. Similar to the first study, patients in the intervention group reported significantly better clinical outcomes in the form of improvements in glycemic levels, blood pressure and cholesterol levels. The study also found that high-risk acute care patients in the intervention group had significantly lower risk of diabetes and cardiovascular disease-related hospital admission within the first 12 months of care when compared to the control group. Assoc Prof Lee said, "Patients in the intervention group were intensively educated on the management of hypoglycemic events and self-adjustment on diuretic agents for heart failure exacerbation. Hence, these patients could have been more informed and empowered to perform self-management, which may have resulted in the reduced need for urgent care." Patients in the intervention group also incurred significantly lower medical costs on average, up to seven times lower than patients in the usual care group. They were three times less likely to get admitted to the hospital within 12 months and spent less on physician consultation and overall outpatient consultation. Moreover, patients in the intervention group required fewer follow-up appointments with the cardiologists. Findings of both studies were published in Journal of Clinical Pharmacy and Therapeutics in August 2017 and Clinical Therapeutics in December 2017 respectively. 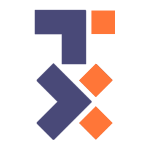 "Both our studies have shown that complementing visits to the physician or cardiologist with regular appointments with Ambulatory Care pharmacists increases the productivity of doctors and lightens their workload. They are able to spend more time with other patients who may be more acutely sick or require immediate attention. The expanded role of trained pharmacists in providing holistic counselling, monitoring and drug optimisation also led to improved overall quality of patient care," said Assoc Prof Lee. "Pharmacist services can certainly help to overcome challenges in managing diabetes. A review of existing health policy to involve pharmacists in every care team could help ensure optimal patient care," she added. In fact, a study of patient feedback revealed that patients who had taken part in pharmacist-managed diabetes services felt comfortable speaking to the pharmacists about their health in detail and they appreciated the role of the pharmacists as healthcare professionals. These patients valued their interactions with the pharmacists and attributed the positive changes of their health and lifestyle habits to the care they received from the pharmacists. For instance, they felt that the pharmacists' encouragement gave them motivation and confidence to manage their diabetes. Additionally, with patients' increased medication knowledge and lifestyle adjustments that were aided by reminders from the pharmacists, they reported better diabetes-related self-empowerment. 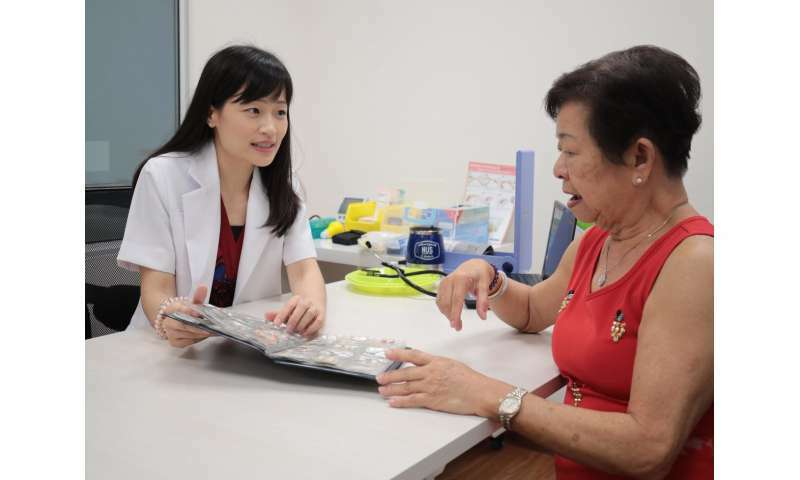 The pharmacist-managed diabetes and chronic diseases programmes have expanded to referral-based services that are available at seven polyclinics across Singapore – called Hypertension, Diabetes, Lipids Clinic (HDL-C) – and at Tan Tock Seng Hospital – called Risk Factor Management Pharmacist Clinic (RFMP). To increase the accessibility and convenience of care, Assoc Prof Lee has also extended the services to the community setting by engaging pharmacists from retail pharmacy chain stores.